Military camouflage coloured mittens. Fleece lined. 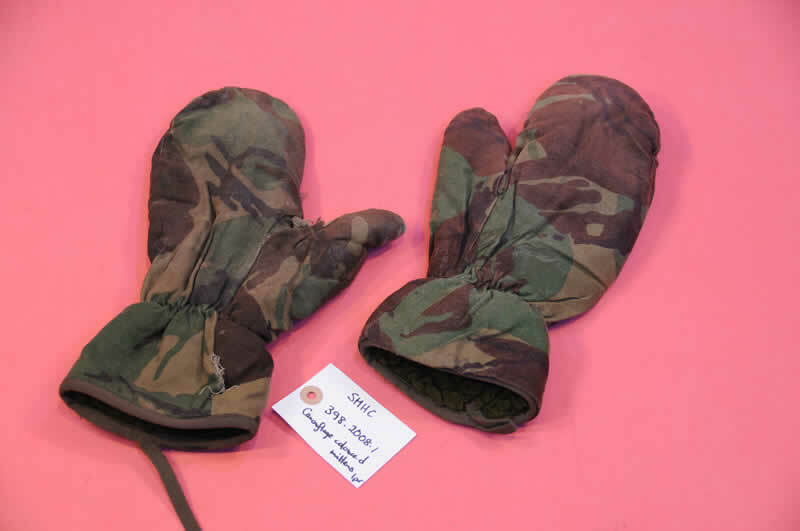 White label inside both reads "MITTENS, INNER, ARCTIC, MK2 CM 8415-99-132-6523 SIZE - SMALL S.B. CT2B/1156 NAME: NO: " "LAUNDER ACCORDING TO UK/SC/3698B OR DRY CLEAN AND REPROOF"